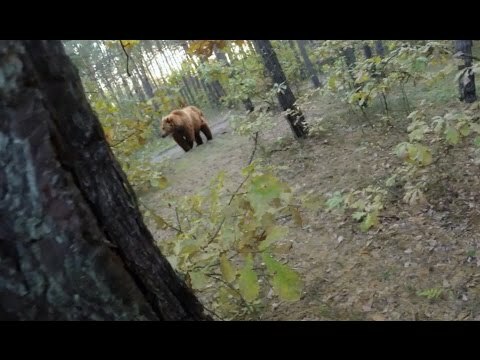 It was a usual day, I decided tо cycle in the forest and to record my walk on the Gopro. To my great surprise, I met a bear, which hardly наброситься on me. Thanks God, I left alive due to the shots that thundered not far from that location! or at my home address.